While the origin is unknown, it’s speculated that American setllers in 1650 were making hard toffee candies in kettles. In 1960, Vito Raimondi, with the help of his uncle William Raimondi, invented and patented the first caramel apple machine. 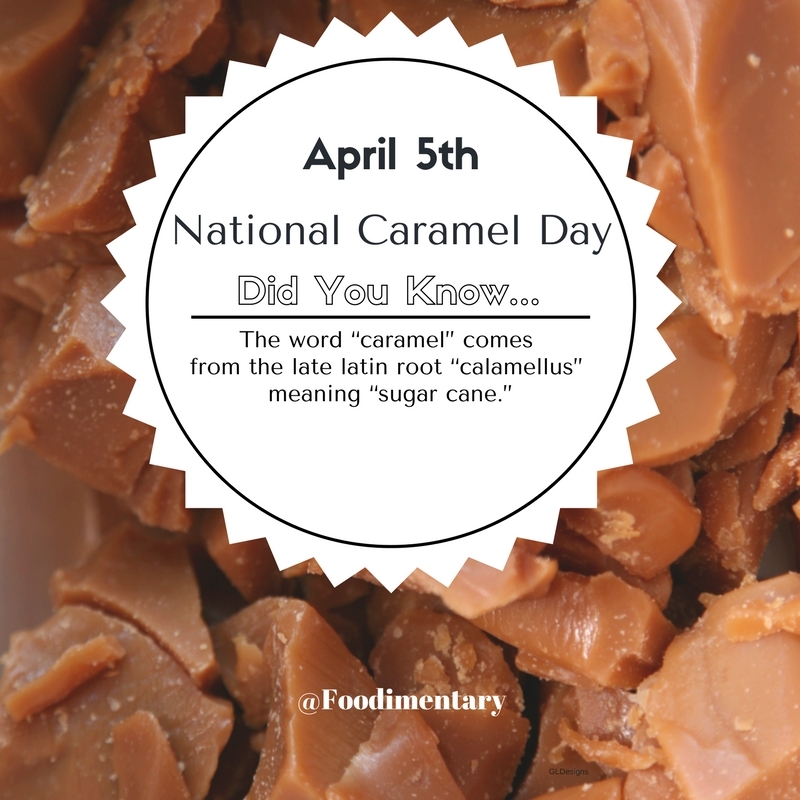 Toffee, or in the US “caramel candy”, is a soft, dense, chewy candy made by boiling a mixture of milk or cream, sugar(s), glucose, butter, and vanilla (or vanilla flavoring). Caramel coloring, a dark, bitter-tasting liquid, is the highly concentrated product of near total caramelization, bottled for commercial use. It is used as food coloring and in beverages, such as cola. o 1764 The Sugar Act passed in Britain, placing new restrictions on the import of molasses to America. o 1806 Isaac Quintard patented the apple cider mill. o 1858 W. Atlee Burpee was born. Founder of the world’s largest mail-order seed company in 1876.
o 1881 Edwing Houston and Elihu Thomson patented a centrifugal separator, which could be used in separating milk. o 1981 Bob Hite died. Singer with Canned Heat. o 1994 Andre Tchelistcheff died. Tchelistcheff was a Russian-born U.S. enologist, was a pivotal figure in the revitalization of the California wine industry following Prohibition (1919-33) and used his Paris training in viticulture and wine making to pioneer such techniques as cold fermentation and the use of American oak barrels for aging. He was also an authority on the types of soil suitable for growing various grape varieties. Caramel (pronounced /ˈkærəˌmɛl/ or /ˈkɑrməl/) is a beige to dark brown confection made by heating any of a variety of sugars. It is used as a flavor in puddings and desserts, a filling in candies and chocolates, and a topping for ice cream and custards. 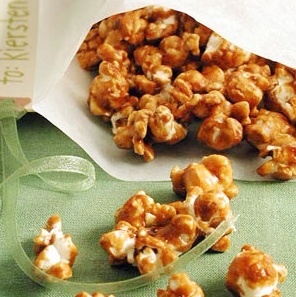 The process of caramelization consists of heating sugar slowly to around 170 °C (340 °F). As the sugar melts, the molecules break down and re-form into compounds with a characteristic color and flavor. A variety of candies, confections, and desserts are made with caramel and its products: caramel apples, caramel with nuts (such as praline, nougat, or brittle), and caramel with custard (such as crème caramel or crème brûlée).